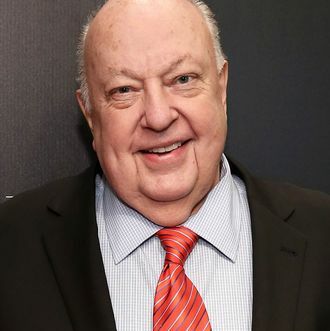 In the past we’ve had dueling Capote movies and asteroid movies, and now we’ve got two projects about ousted former Fox News chief Roger Ailes (hooray?). One’s a Showtime series that stars Russell Crowe as Ailes and Naomi Watts as Gretchen Carlson, based on Gabriel Sherman’s book The Loudest Voice in the Room, as well as Sherman’s reporting for us at New York Magazine. The other’s a Jay Roach movie starring Charlize Theron as Megyn Kelly, with Jonathan Lithgow as Ailes and Nicole Kidman as Gretchen Carlson. Is there division and distrust between the two projects? You bet! “There was Gretchen Carlson, and that was it,” Metcalf continues. “I’m sure the movie will be lovely … [but] we are doing our best to reflect a reality.” Per THR, several others involved in the Showtime series also trashed the Jay Roach movie off the record, questioning “the appeal of a Kelly-centric film after her ignominious exit from NBC amid a blackface scandal in 2018.” Carlson, for her part, also weighed in on the two projects to THR, saying that she was “flattered to have an incredibly talented actress such as Naomi Watts depict my story” in the Showtime series, after previously saying that Nicole Kidman “looks nothing like me” and it’s “hard to see your own story faked” in the Roach movie. We hope Nicole Kidman and Naomi Watts’s friendship can survive this mess as it continues to escalate.